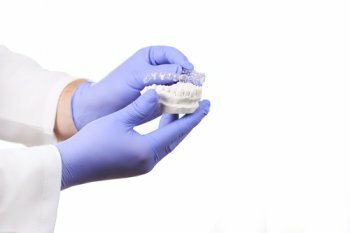 Cosmetic dentistry and orthodontics aren't the only services your dentist can provide aside from teeth cleaning, dental crowns, and X-rays. If you've been diagnosed with sleep apnea, a condition in which breathing is interrupted during sleep, a common treatment is to use a CPAP (continuous positive airway pressure) device. This device fits over the mouth and nose like an oxygen mask and uses mild air pressure to keep breathing passages open. However, some people cannot tolerate a CPAP device and find it uncomfortable. Luckily, your dentist can create a custom-fit oral sleep appliance to treat your sleep apnea. At Buhite & Buhite, DDS in Rochester, NY, you'll feel at ease knowing the experienced team will take care of your oral health needs, from cosmetic and restorative dentistry to periodontics and custom dentures. Oral appliance therapy refers to wearing a mouth guard to alleviate sleep apnea. It works by supporting the jaw to maintain an open airway and can be more comfortable than a CPAP mask. First, ask your doctor if oral appliance therapy is right for you. Your doctor will refer you to a dentist who can fit you for an oral appliance. First, they will take an impression of your teeth. Then, they will use that mold impression to create a custom appliance. Once you've begun using it, you will—hopefully—notice a difference in your quality of sleep. After several weeks of use, schedule a follow-up appointment with your dentist to make sure everything is working as it should. Oral appliance therapy is an easy way to alleviate the symptoms of sleep apnea. 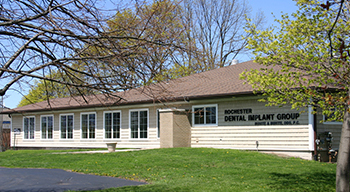 Buhite & Buhite, DDS in Monroe, NY, takes care of all your dental needs. Ask your doctor about oral appliance therapy, and call Buhite & Buhite, DDS today at (585) 342-1323.